ARMS may not be getting as much love as Splatoon 2, but it was still mentioned during the latest Nintendo Direct presentation, yesterday. ARMS Global Testpunch: a new one is taking place from March 31st to April 2nd worldwide. It will allow players to try out select modes for free. 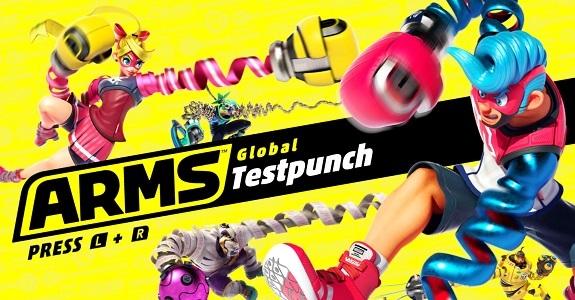 All you have to do is downloaded the Global Testpunch demo from the Nintendo eShop (ahead of the actual event, if you don’t want to miss a minute of it! ), and you’re good to go! the ARMS US & Canada Online Open. Basically, it’s an online tournament for players in the United States and Canada. If you’re interested in participating, you have to play Ranked Matches between March 8th and March 18th. After that, Nintendo will invite the top 8 players during that period to the online finals, which are to take place on March 31st at 10AM PT / 3PM ET / 8PM BST / 9PM CEST. Naturally, the finals will be streamed online on the official website for anyone to watch, live from the Nintendo of America HQ! All finalists will receive a custom piece of art, though we don’t know what the grand winner will get. More details about the tournament will be available soon.